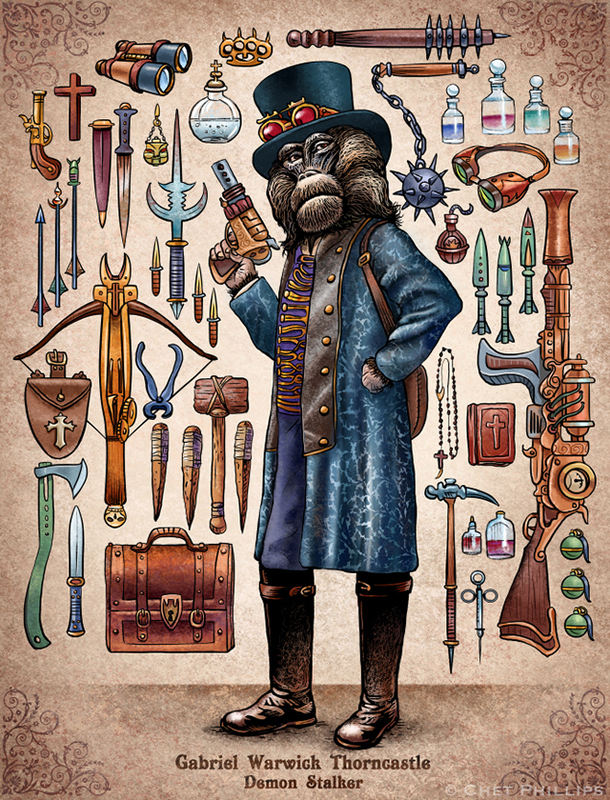 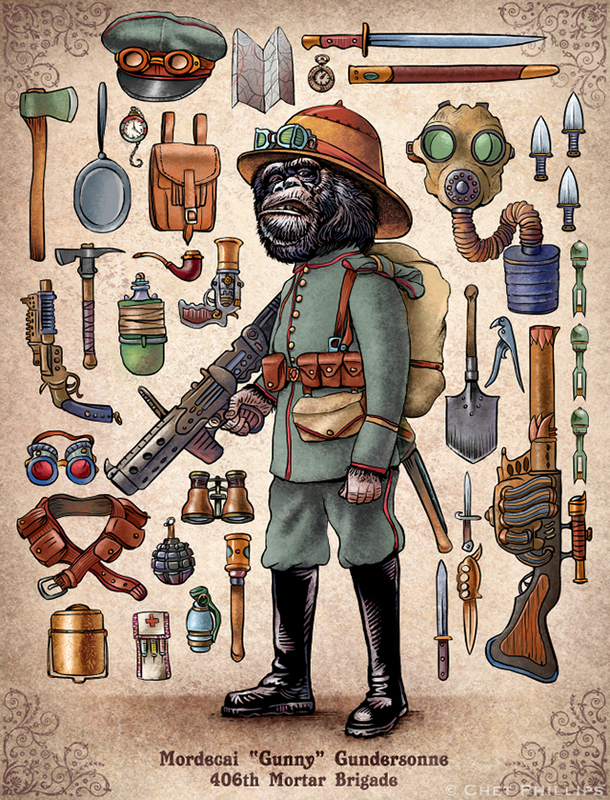 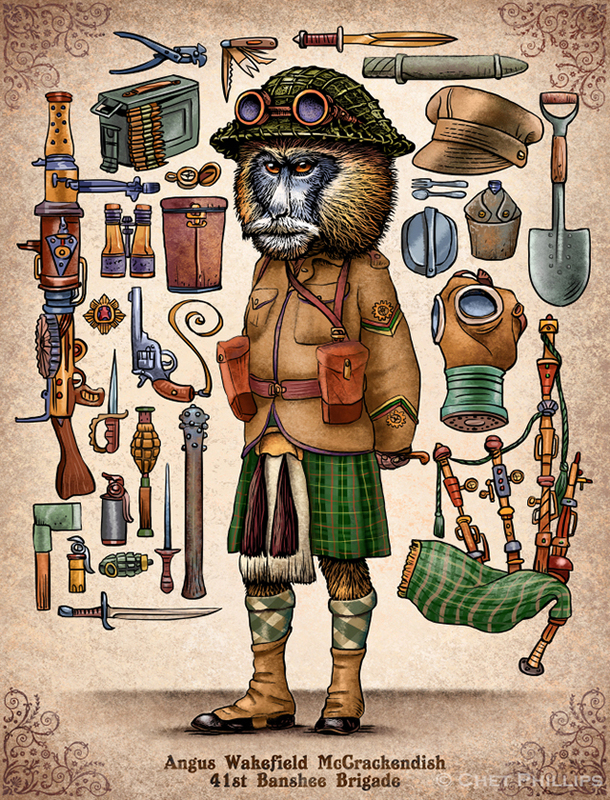 Steampunk Monkey Nation is a series of illustrations by Austin, Texas-based artist Chet Phillips featuring primates dressed up in military gear. 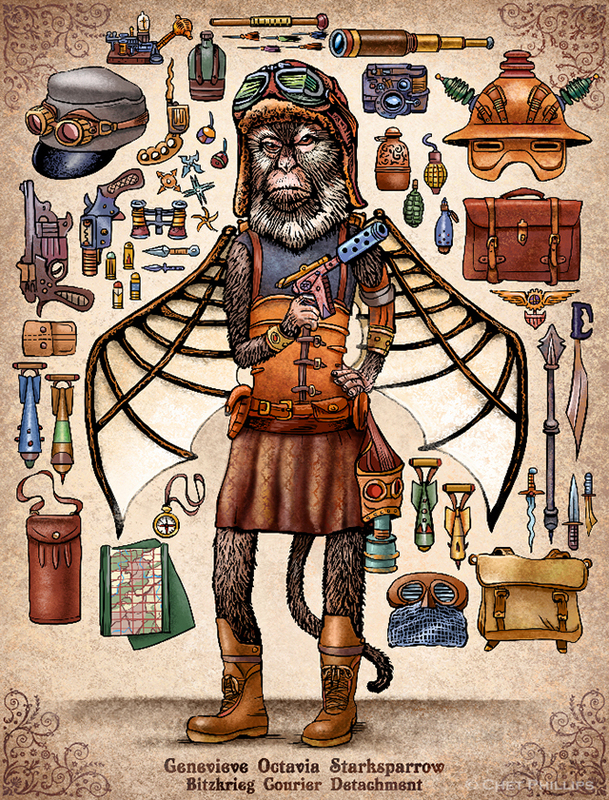 Prints are available to purchase online at his Etsy store, ChetArt. 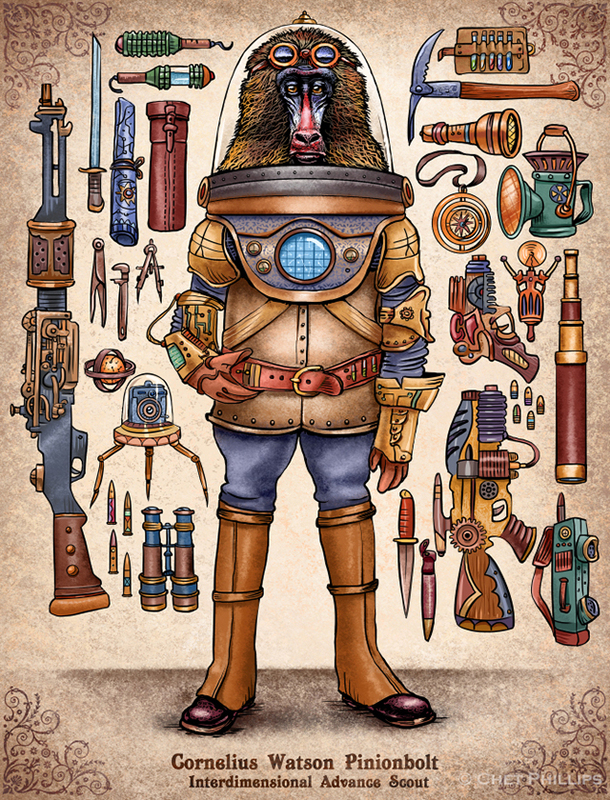 Previously, we’ve written about Chet and his creative collections of artwork.